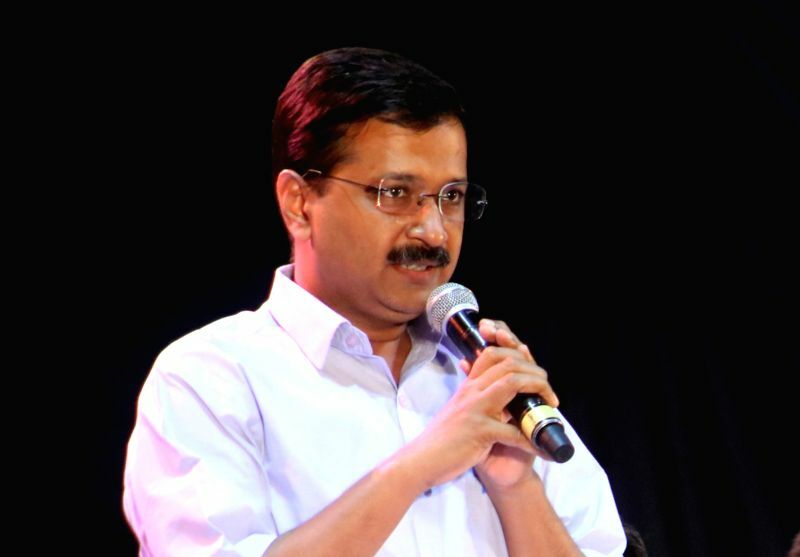 Indore, July 15 : In this age of technology and 5G, Prime Minister Narendra Modi remains obsessed by subjects related to Hindu-Muslim divide, Delhi Chief Minister Arvind Kejriwal said on Sunday. "When the world is talking about technology and 5G, our Prime Minister is describing the Congress as a party of Muslims and the BJP as a party of Hindus," the Aam Aadmi Party leader told a public rally here. "This proves that no development has taken place in the four years of Modi rule," he said. "Even the 3G doesn't work in our country well." The rally venue lost electricity connection the moment Kejriwal reached there. This only made him attack the Madhya Pradesh government. "If this place can lose power connection when another Chief Minister arrives here, I can only pity the people of this state." Kejriwal declared Alok Agarwal, an activist who studied at IIT Kanpur, as the AAP's Chief Ministerial candidate in the upcoming Madhya Pradesh Assembly elections. "Agrawal has studied at IIT. He could have gone to the US if he wanted to. But after completing his studies, he chose to serve the people of the state." Agarwal contested the 2014 Lok Sabha polls from Khandwa in Madhya Pradesh.